Yes, quite a lovely photo. 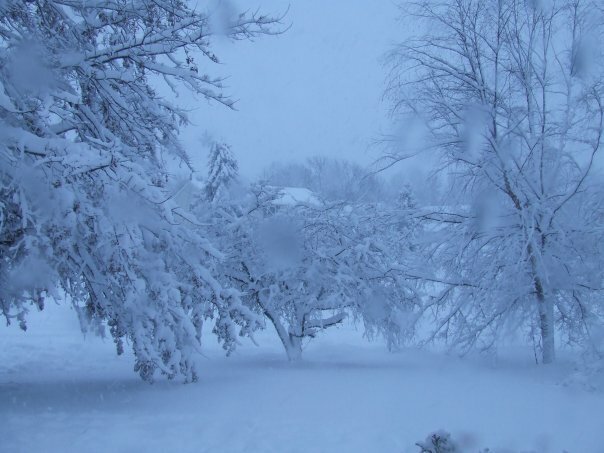 This picture was taken back in 2010, but I can easily envision the same sight in 2016 from my current home in Florida. The snow is quite beautiful. There is a peaceful aroma that comes with a large snowfall, as well as the chilling silence. Once the snow has finished falling, you will begin to hear the echoes of snowblowers, and neighbor helping neighbor to shovel out from the unsuspecting amount of snow. 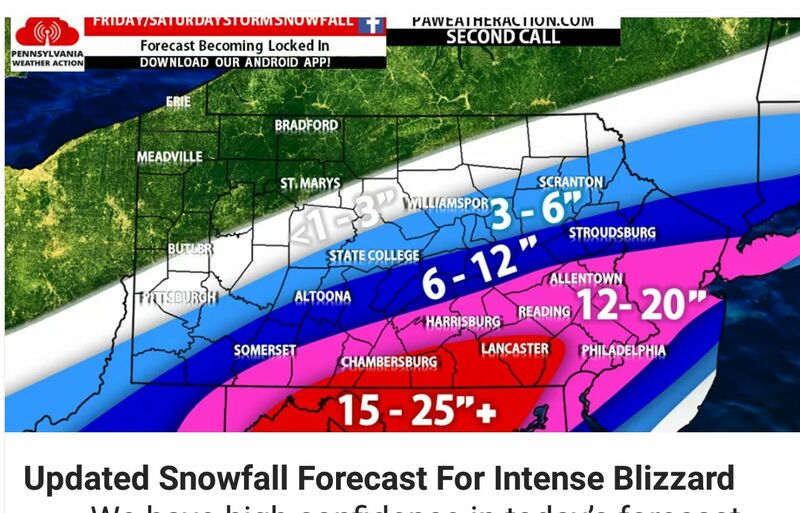 The amounts of the current snowfall, while pictured here, have been stated up to 30″ localized, meaning some pocketed areas could see larger amounts. As a child, these were amounts that we could only dream of. Undoubtedly, school would be missed because it would take literally days to dig out, and often times, areas were without electricity. But that was of no concern to us. We were more than happy to grab a shovel, and start taking care of sidewalks and driveways because that would mean one thing, SNOW FORTS! Shoveling snow as a child however is much different than it is for an adult. And even if we are in our most fit condition, shoveling snow can be dangerous, if not lethal. Of course, we hear the warnings all the time. And we also hear of the tragedies. 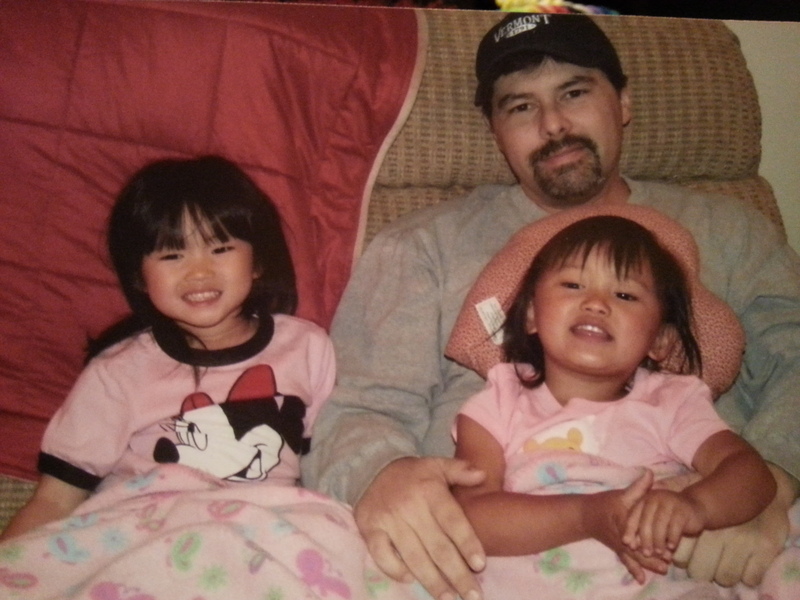 In 2008, I underwent emergency heart surgery to perform a double bypass. But unlike millions of adults, my cardiac issue was not related to weight or diet, but rather long term effects from cancer therapies. So, it should not come as a surprise that being fairly physically fit and active, when we got hit with snowfalls, especially in the Winter of 2007/2008, I did not plan on taking any precautions when it came to shoveling. I just simply went out and did it. Prior to my heart surgery, for a period of 4 months, it turned out, I was having symptoms of a major blockage, often referred to as a “widow maker”. It is called that for only one reason. You have a fatal heart attack. By the time the damage is done, it is usually too late for paramedics to do anything. My symptom, was fairly simple, but ignored. After all, as I said, I was in decent shape, and in spite of my father having a major heart attack, I was fairly certain I was not having a heart attack. From the moment I lifted the first heap of snow, a “tightness” from the middle of my chest to my left shoulder occurred. And the sensation would last approximately a minute and then go away, and I would continue shoveling. Now it should mention, the amounts of depth would vary, but my driveway was 30′ x 10′ and I had about 100′ of sidewalk to do every time. 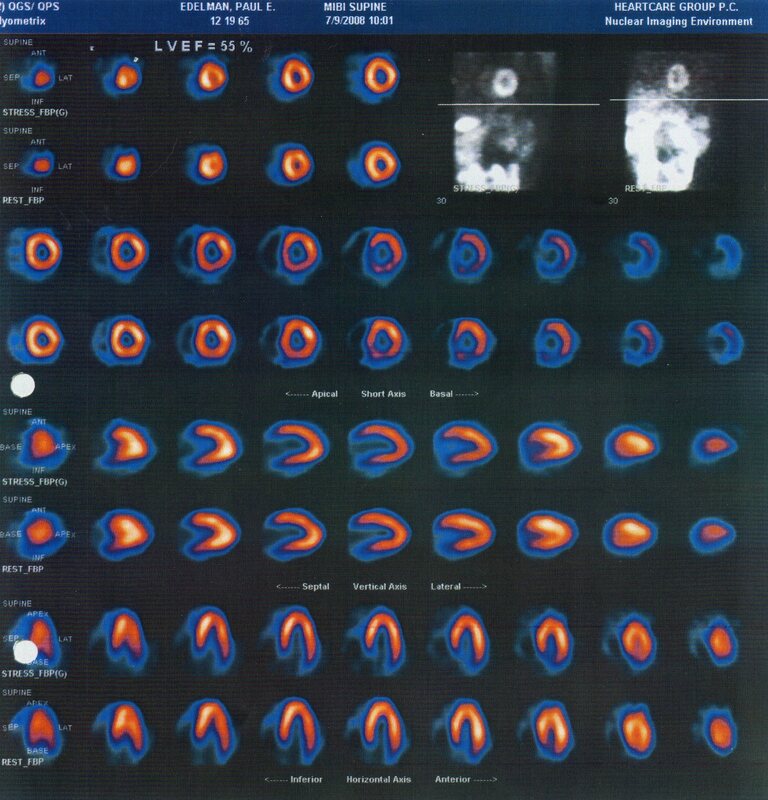 Now while the picture above is the actual scan from prior to my heart surgery, this was done following less than one minute on a treadmill when I complained about the same symptom as shoveling, and confirming from the EKG that was attached to my chest, that something had just occurred. Now imagine, this photo was basically showing every time I was shoveling snow (or anything else physical that resulted in that symptom) and what was about to happen. My cardiologist refers to me as the luckiest man on earth, because I prevented my fatal heart attack by seeking help before it happened. Yes, I played with fire for 4 months. The problem for me is I am not a complainer, so I just tolerated the discomfort, and it could have been fatal. While I did heal, the winter of 2008/2009 was on us in no time, and without a snow blower, I was faced once again with shoveling snow. Of course I was going to be careful, but this was clearly an activity I should not have been doing. And it ended up being a very busy winter with snowfalls. By the 3rd snowfall of the season, I had finally purchased a snow blower, which got used a lot from then on. But my warning is no joke. Most reading this are not young, and perhaps should not be shoveling snow. And this weekend, so many that I know are going to be busy shoveling out from a major snowstorm. 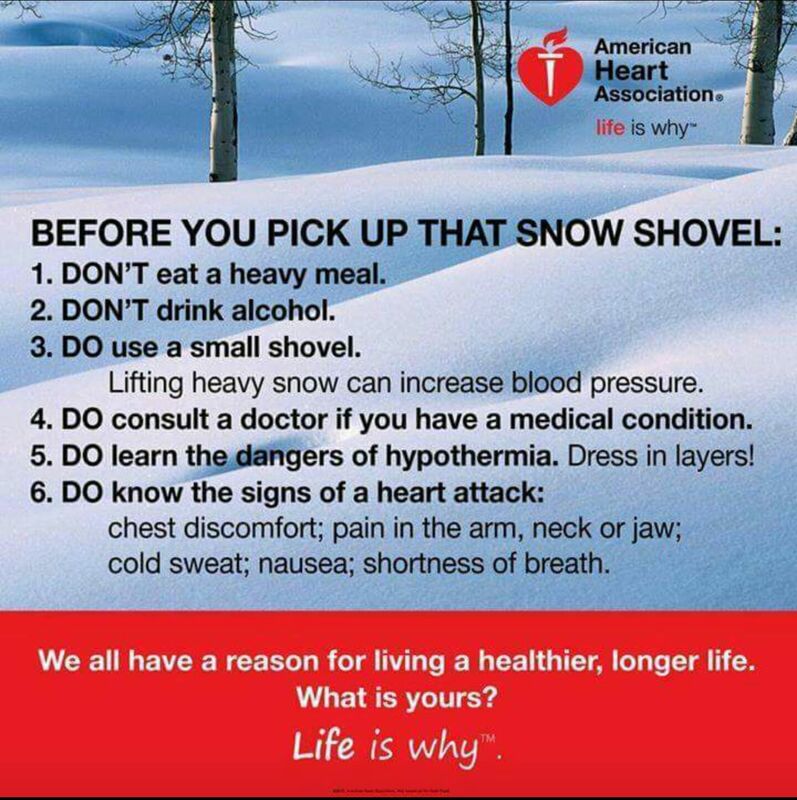 Please, if you must shovel, and it is still snowing as of this posting, so you hopefully have read this post, please read the warnings from the American Heart Association I have pictured above. And please, please, be safe. I have a lot more posts that I would like you to read.